www.drivethedeal.com has some very competitively priced brand new Mercedes-Benz C-Class offers on their special offers page. These cars are all brand new, unregistered, cars supplied by a UK main dealer, and you will pay the dealer direct for the cars. Click here for further information on specifications and price. Note, once they are sold, they are sold. With typical savings of £6,000-£6,500 off manufacturers list prices, these deals are not to be missed. 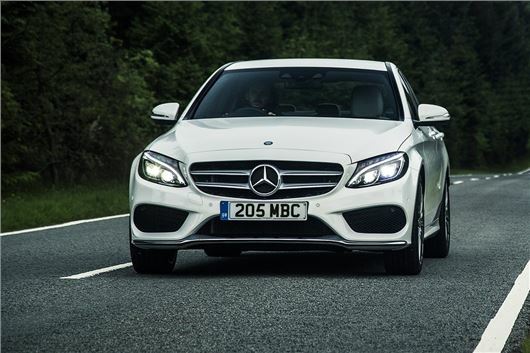 The above savings include the use of the Mercedes-Benz finance deposit contribution of £1,535 which is conditional upon taking out PCP finance at 4.9% APR Representative over 12-48 months with a minimum deposit of 5%. The dealer that www.drivethedeal.com puts you in touch with will arrange the finance if required. Subject to Status. Written quote available on request. If you do not wish to take out any finance then please add £1,535 to the prices quoted. It is difficult to read the offers as the authors on the right immediately super imposes on the saving figures. Why send the authors etc on the side why not at the bottom so that we can read both the subjects?